Sir Joshua Reynolds RA FRS FRSA, a British portrait specialist, was born on July 16, 1723. A very influential painter of the 18th century, he was one of the founders of the Royal Academy of Arts of Britain and stood as the academy’s first president. King George knighted him in 1769. He was born in Devon and his father was a school teacher, who expected his son to follow in his footsteps. But at a very early age, the young Joshua already displayed his great talent for art. His older sister, Mary Palmer, is said to have influenced his love for art at a young age. He started taking lessons from portrait painter Thomas Hudson, who, after two years, declared that he had nothing more to teach the young Reynolds. 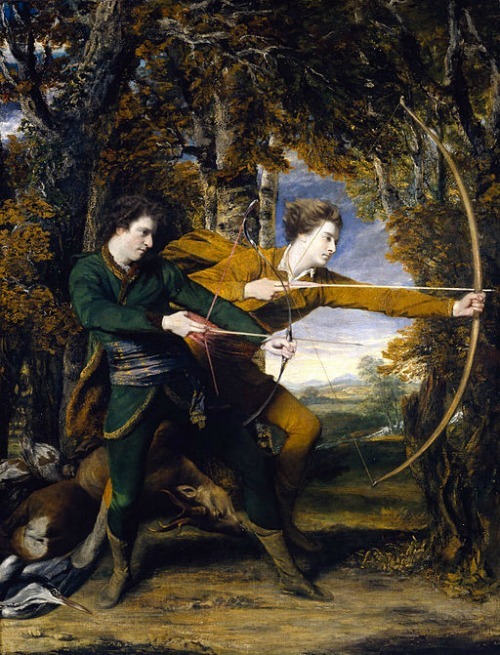 Joshua Reynolds had plenty of influence as a boy, from philosophers, novelist and playwrights as well as from the art theories of Old Masters such as Leonardo da Vinci and writer, artist and art collector Jonathan Richardson. Reynolds was already 17 years of age when he started his art training, but his apprenticeship only lasted for two years instead of four as his teacher declared that he does not have anything to impart to the youngster who was already displaying his above average talent in art. He kept his friendship with his first teacher, Thomas Hudson. For the next two years, Reynolds stayed in Plymouth district and painted portraits. In 1744, he went back to London upon the invitation of his former teacher, who introduced him to the Artists’ Club. However he had to go back to Plymouth in 1746 upon the death of his father and resided there to help support his two sisters and himself. While he was in Plymouth he befriended William Gandy, a portrait painter who had a great influence in his work, particularly in the handling of paint, which became Reynold’s trademark in his mature works. 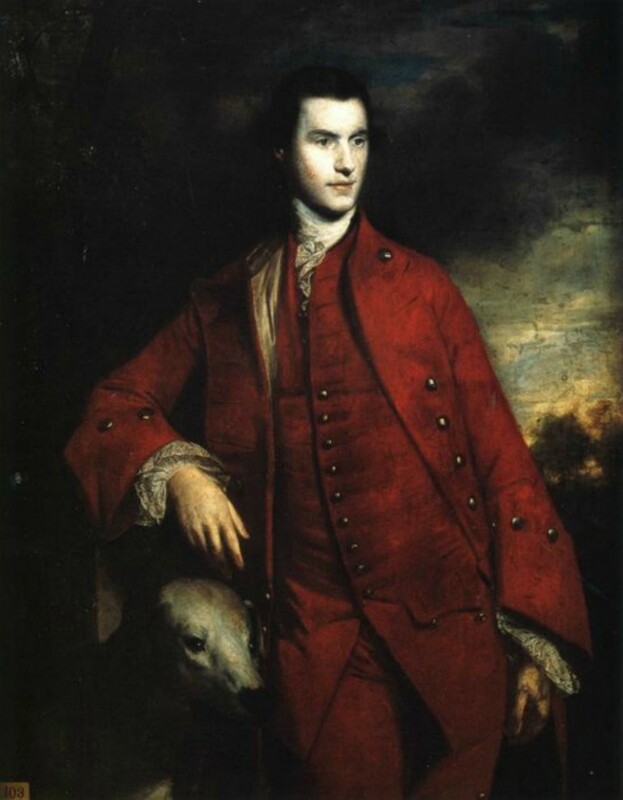 Reynolds was a well-mannered person, and soon became a frequent guest at the Earl of Mount Edgcumbe’s house, where he met the Commander of the Mediterranean Squadron, Admiral Augustus Keppel, who offered to take Reynolds with him to Italy. Reynolds used most of his time in Italy to study the works of the grand Italian masters, which he later employed in his work and developed new techniques and ideas for his future work. Reynolds was 26 by the time he toured Italy and he already had formed his artistic character and style, but there was enough of the student in him to closely look into the styles and techniques of the masters without compromising his own standards. In total, he spent three years in Italy, with one year spent in Venice to study the works of the Venetians, who were masters of color. The succeeding works of Reynolds did not show the grandeur and severity of Michelangelo’s works, but Reynolds employed luscious pigments, opulent arrangement and the warmth and richness of color of the famous Old Master. His works typically showed the influence of Venetian Renaissance masters such as Rembrandt and Rubens. He was known for his love of the texture of paint and golden, glowing color schemes, combined with elements arranged harmoniously. However, even if most of his works placed focal emphasis on the figures, he was not very particular about anatomy, particularly on the bone structure of hands and arms. Reynolds’ charm and gentle manners endeared him to many, and his brilliance assured that he has a long list of clients, most of them wealthy. In portraiture, Reynolds always wanted to show the character that’s essential to his sitters, but in a broad way. He was more into generalizations instead of detailed execution. He insisted on doing works of art the way he understood art. He was one of those painters who would rather avoid using the effects of multiple light sources. Although he had the intelligence to include what’s individual and particular in his subjects, he’d rather present them in a general manner, rather than how Rembrandt’s portraits had this sensitivity and intimate characterization. Since most of his clients were affluent, he painted them as such, all with a typical aura of persons living in a distinguished and leisure way. His portraits of women showed graciousness and beauty that are impressive. He showed more concern about the changing fashion when painting women. In contrast, he painted men’s costumes as he saw them, which inevitably coincided with his love for opulent colors. On the other side, Joshua Reynolds usually captured the simplicity and grace of the young children he painted and often showed a closer affinity and intimacy with them, which were absent in most of his portraits of adults.